Here at Warm Embrace, we understand that Waterloo Region and Wellington County cover a wide geographical area. Not everyone lives in downtown Kitchener or uptown Waterloo; many residents live in smaller communities or out in the countryside. Certainly we do provide service within each of the cities in this area: Waterloo, Kitchener, Cambridge, and Guelph. We also aim to provide service across Waterloo Region and Wellington County as much as possible, reaching into some of the smaller, countryside areas. North of KW, we provide service in Elmira, Wallenstein, Maryhill, Elora and Fergus. 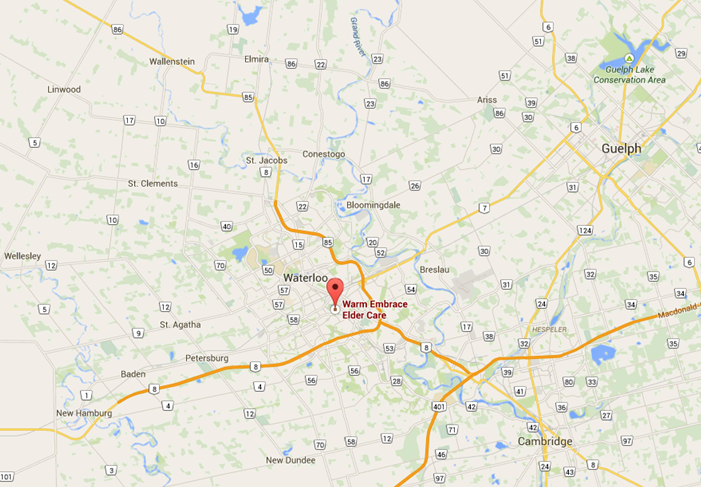 To the West of Kitchener-Waterloo, we serve St. Agatha, Baden and New Hamburg. South of Kitchener, we have clients in New Dundee. East of Cambridge, we serve Puslinch, Morriston, and Aberfoyle. As you can see, we cover a lot of territory! 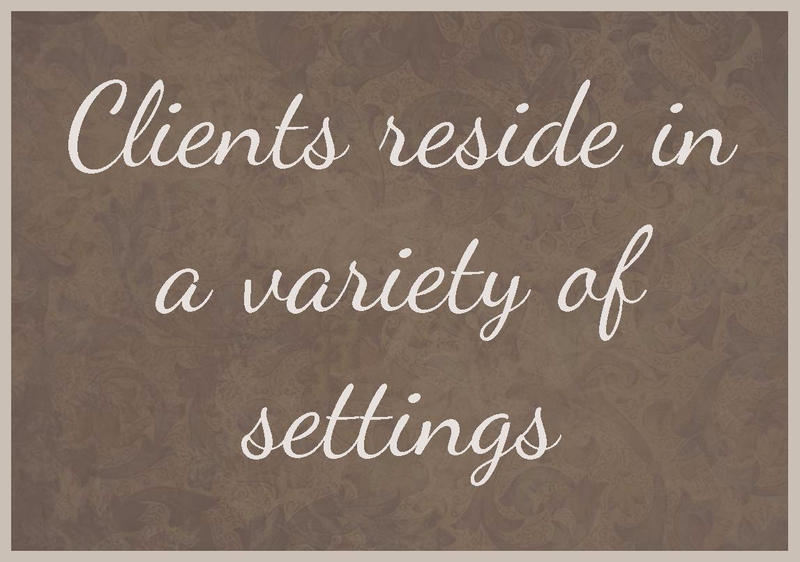 Our clients reside in a variety of settings—from original homesteads on the farm in Elmira, to a house that was custom built in uptown Waterloo, to a cozy retirement home in Maryhill, to a retirement village in Kitchener, to a long term care home in Cambridge—we cover it all! If you’d like more information about a location where your loved one is currently living, please contact us.